A 430-million-year-old fossil discovered "frozen in time" in ancient volcanic rock has been named after Sir David Attenborough. The tiny crustacean, measuring less than 1cm long, was found by researchers in Herefordshire. It has been named Cascolus Ravitis, the first word a Latin rendering of the Old English equivalent to Attenborough. Ravitis is a reference to Roman name for Leicester, where Sir David lived on the city's university campus. The fossil was given its name by researchers from the universities of Oxford, Leicester, Yale and Imperial College London. Sir David said: "The biggest compliment that a biologist or palaeontologist can pay to another one is to name a fossil in his honour and I take this as a very great compliment." The fossil is the latest in a long list of species and objects to be named after the famous naturalist and broadcaster. A polar research ship called the RRS Sir David Attenborough - which was given his name despite the title "Boaty McBoatface" topping a public vote. Sir David, who turned 90 in May last year, grew up on the campus of the former University College Leicester where his father Frederick was the principal. 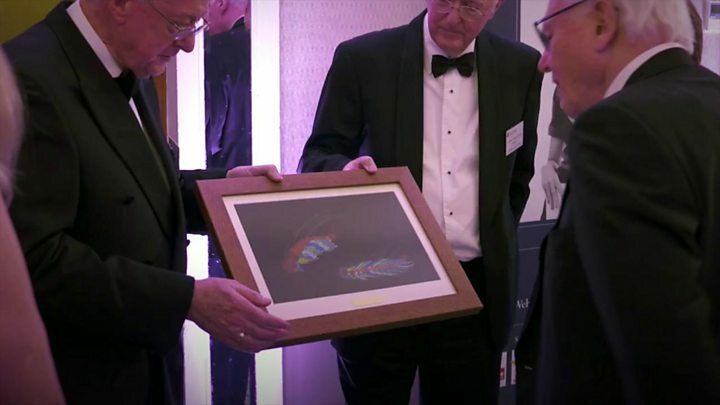 Lead researcher Prof David Siveter, from the University of Leicester, said Sir David had inspired his interest in natural history. He said one of the reasons Sir David became a great naturalist was by collecting Jurassic rock fossils in the Leicester countryside. The newly discovered creature is a tiny arthropod - a group of animals that includes modern insects, spiders, shrimp, and crayfish. 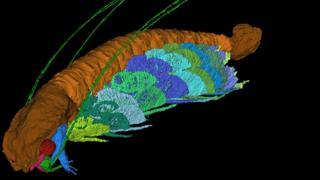 Prof Siviter said the fossil found in the rocks had been "frozen in time" by volcanic ash. “It’s like an undersea Pompeii,” he told BBC News. It was so well preserved, the research team were able to use 3D computer modelling to show its features - including minuscule eyes, delicate antennae, multiple jointed limbs and a tough exoskeleton.